Guest post by Frank Nielson. 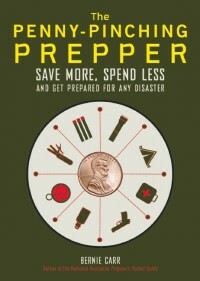 An essential tool in everyone’s emergency preparedness arsenal is the lowly first aid kit. Although considered important, too often little thought goes into it. This may be because so many prepackaged kits are available in all shapes and sizes. Unfortunately, many of us are guilty of basing our purchase more on the size and price and less on the contents. Then the kit is placed on a shelf or in a bag and not thought of again. It becomes just one more item we can check off our emergency preparedness list. Part of the problem lies in our mindset. We know it is one of those tools we need but we hope to never use. Everyone should have at least a small first aid kit that contains the essentials necessary to respond to common injuries and emergencies. A larger more comprehensive kit should be kept in the event of a drawn out disaster where medical assistance by trained professionals is not readily available. Both of these are discussed below. In addition, leave room for any personal medications. Store an extra bag in your large first aid kit specifically for storing your medications. In an emergency, knowledge is your best friend. It’s been said that in a stressful environment you don’t rise to the occasion, you drop to your level of training. Following that advice, it is in your best interest to educate yourself on the sort of emergencies you may be dealing with. For example, can you recognize the difference between heat exhaustion and heatstroke? Do you know the early signs of hypothermia? What is the best treatment for a concussion? The string of recent disasters should convince us all of the importance of being prepared for an emergency. The kits described above should be used as a basis for your own kit. Your circumstances, needs, and level of expertise will determine what you include in each. Frank Nielson is a retired medical researcher who now spends his days writing. Through his writing, he is keen on helping consumers find the best medical supplies and orthopedic supplies at an affordable price. In my EDC, I have ibuprofin, asperine, and tylenol, one box of regular “standard” bandaids (latex free just in case) and one of various sizes, three elastic bandages of which one is the “stick to itself” kind, two packages of medical tape, one of duct tape, tweezers, pins, a three day supply of my regular meds (that I cycle monthly), latex free gloves, some granola bars and some salt (sealed in straws), medical and regular scissors, two SAM splints, a chemical cold compress, several packages of sterile gauze, tampons and pads (both unscented), several single-use anit-bacteria creams, wet-wipes, hand sanitizer, tissues, a pen or three, a bottle of water, and a little “emergency first aid” book that I doubt I’d use but keep anyhow. I might have missed some things. The thing is, this EDC is not ever left to rot on a shelf. EVER. I carry it with me every day (go figure). I use the contents on a regular basis for kids, friends, myself. I know how to and have used everything in the kit. I have yet to get a little pack of airways for doing CPR, but it’s actually next on my list, and again I already have training in using them. We have several small to medium sized first aid kits around the house and in our vehicles, but we also have two plastic totes that we keep well stocked with medical supplies. One tote has all of the non-perishable bandages, gauze, tapes, splints, ETC and the other has all of the medicines, salves, and such that has to be rotated out.